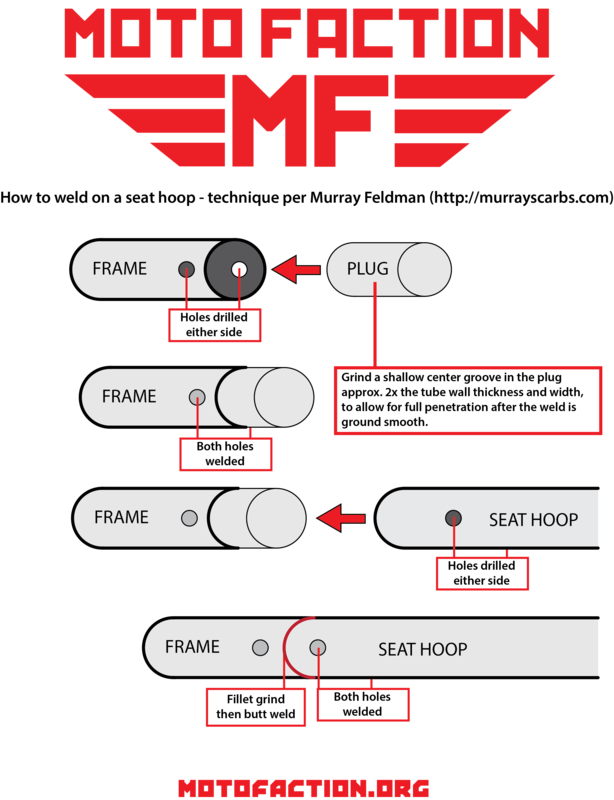 We have consulted with the industry expert Murray Feldman on his technique for installing a new seat hoop to your motorcycle frame; check it out below! You will need a seat hoop to fit your bike, a frame plug and the appropriate welding/grinding equipment (don't forget the safety gear..!). Want to see it bigger? Click here!